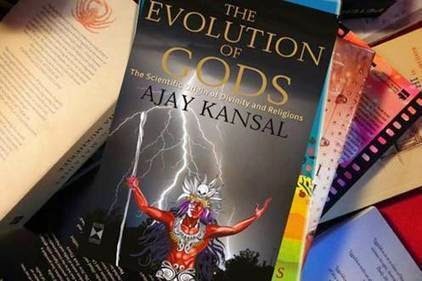 Today at Behind the Book we have Dr. Ajay Kansal the author of The Evolutions of God. It is always a pleasure interacting with authors for they teach you a lot of new things and when that author is someone who has written a book that not only is commendable but also one that makes you question your own believes the interaction definitely becomes all the more interesting. 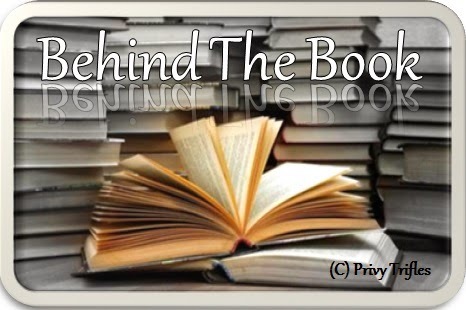 I would like to THANK Ms. Nikita Soni who blogs at NJKinny for giving me this opportunity to interact with the author and also review this wonderful book. Tell us something about your book The Evolution of Gods. How did the entire concept come into being? 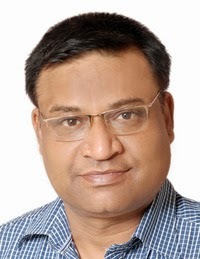 Some ten years ago, I studied several books and concluded that the concept of gods and religions is the invention of humanity to wrestle with their challenges in ancient era. However, I could comprehend this after reading several scholarly books. To communicate this complex subject, I visualized a concise book for the educated laymen. My only message is that humanity invented and evolved the gods as per their use. However, today, the concept is useful only to the demigods or priests: it is useless, rather harmful for the masses. Writing on such a topic would have had its own share of challenges. Would you like to share any of your experiences. In fact, writing was a lesser challenge than the promotion. Most of the people have a built a conviction about gods from persistent teaching by parents and priests; they are not ready to shake their culminated thought process. The book jolts their self esteem; how foolish they are to worship gods. Considering the ego and convictions, most people are not willing to read this concept, irrespective of its truth. If given a chance would there be anything that you would like to change in the book? I am changing many things persistently, just to explain the concept in a better way. How has your journey been to becoming an author? It was simply due to the lack of a concise book on such a subject that is covered by profound darkness by religious dogmas. Having written a book on religion there must have been lost of instances where you might have been asked about your own faith and belief in God and religion. How does it feel at such times? I am an atheist and do not believe in gods, holy books, ghosts, miracles or demigods. With this book you have sent out a message to all your readers and followers. Will your next books also be on the same topic / genre or would be experimenting further into various genres? My next book is a romantic fiction, a satire on modern relationship. One message for all our readers here. Readers must read something that may help plan their future actions; that may enlighten about their blunders, not only entertainment. We would like to THANK YOU for being here today and also wish you all the best! Very true Vishal, thank you so much! I had written a detailed comment here.Hope it was not deleted.Anyway many a superstition found its way in human life.Loved to read it.